Updated "Meet the Board" page for the 2017-2018 school year. Recent pictures added to "Key Club in Action" page. A few fixes to start the new school year. Updated "Meet the Board" page to represent the new executive board. Added a way to view previous board from the "Meet the Board" page. Main picture updated from 14-15 yearbook picture to 15-16 yearbook picture. "Help us Improve​" page added to get user feedback on the website. "Event Calendar" page updated to now display a calendar rather than simply listing the upcoming events. A text-only version has been added for devices that cannot properly view this updated version. “Key Club International & NY News” page added with the last five tweets from both the Key Club International and NY Key Club as well as Key Club International RSS feed reader. “FAQ” page added targeting new members or students interested in becoming members. “Contact” page added to report any issues, ask questions, make a suggestion and more in order to ensure the website is the best it can be. 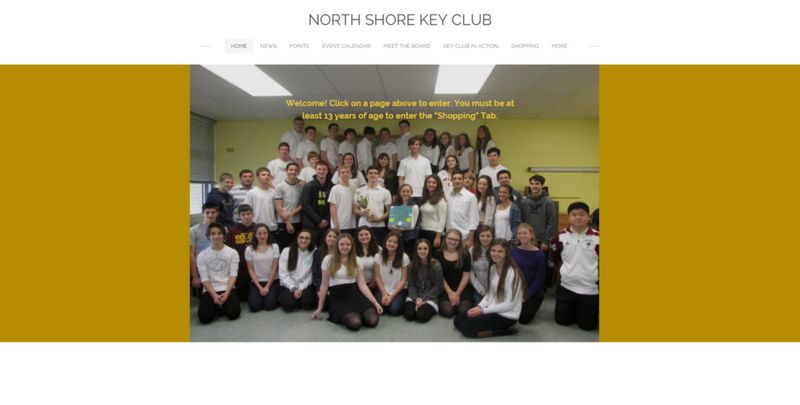 “North Shore Key Club Website Updates” page added to store update information. “Event Calendar” page updated to display the weather. 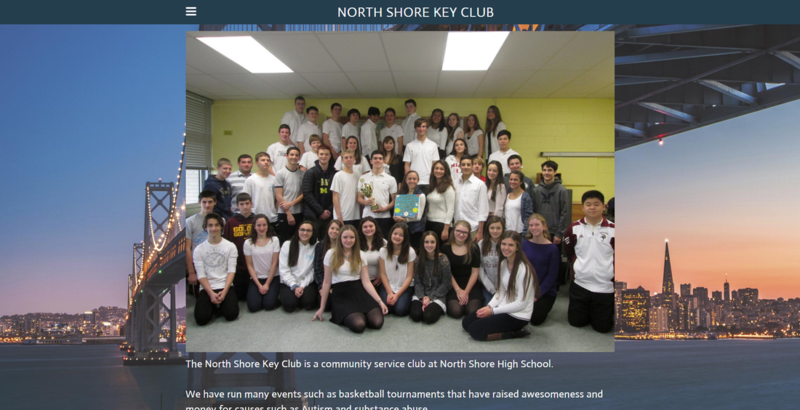 “History and About Us” page updated with a countdown to the new Key Club year.